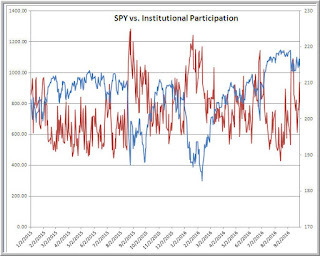 Just thought I'd update this post on what it means for stocks when we see a high degree of institutional participation in the US equity market. Yesterday's reading was in the highest quartile, which has been associated with significantly above average returns over a next 10-day period. 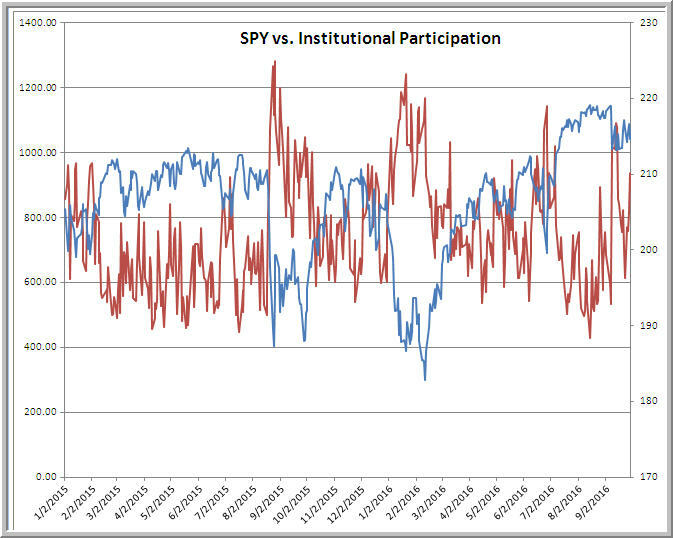 Interestingly, we also saw an elevated equity put/call ratio, also associated with favorable next 10-day returns in SPY. Meanwhile, several of my cycle measures have been pretty toppy. There are times when things line up and there are times when they don't line up. A useful psychological exercise is to assume that, at some point, everything will line up. What would you need to see for such a line-up to occur? Anticipating potential price paths is a first step in preparing to trade them. Being aware of when things aren't lining up is a great way to avoid overtrading.